← What is a Temporary Kitchen? In many kitchens, your fabulous designer will find a way to create the island of your dreams. It’s got the wine cooler you’ve always wanted, extra storage to wrangle the Tupperware, wainscot panels, a furniture style look…and extra seating! 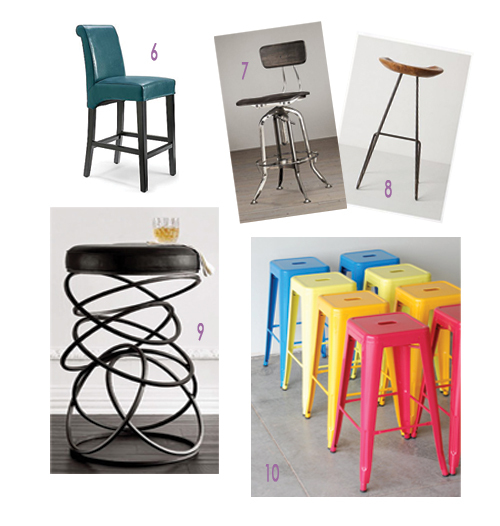 Now that you’ve got room for the kiddos to eat breakfast or do homework while you’re cooking dinner, where do you actually get the lovely barstools you see in magazines?! First, consider the height you’ll need. Barstools intended to go under a standard countertop (36” high) need the seat to be between 24” – 26” high. 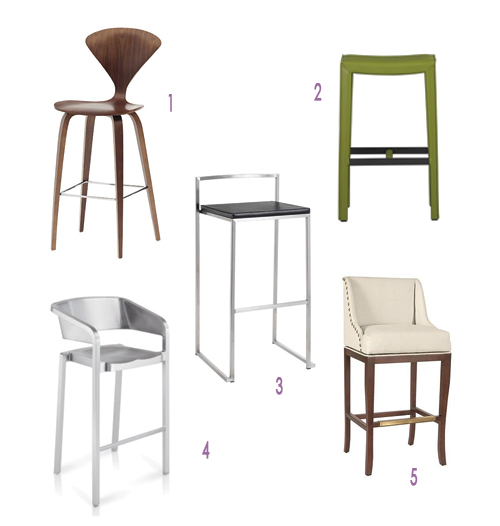 Some manufacturers call these “counter height.” Barstools to go under a raised bar area (typically about 42” high) typically have a seat height around 30”. Most manufacturers call these “bar height” or “pub height.” Be careful though- some manufacturers use the terms loosely, so make sure you measure or check specifications first! 3. Genoa Stool (by Nuevo Living, available through Village Design Group in Southern Pines) This stool is actually at our Cary showroom in white, and it’s pretty comfortable!